The recession has been hard on restaurants of every type, but it's been particularly hard on the owners of soul food, Caribbean, or Louisiana kitchens. Roslynn Lady Decuir finally attained her goal, only to see it slip away during the recession. When she was sixteen years old, Roslynn Lady Decuir said a prayer to God. She prayed that some day she would own a restaurant. She imagined her own menu, storefront, sign, and kitchen. 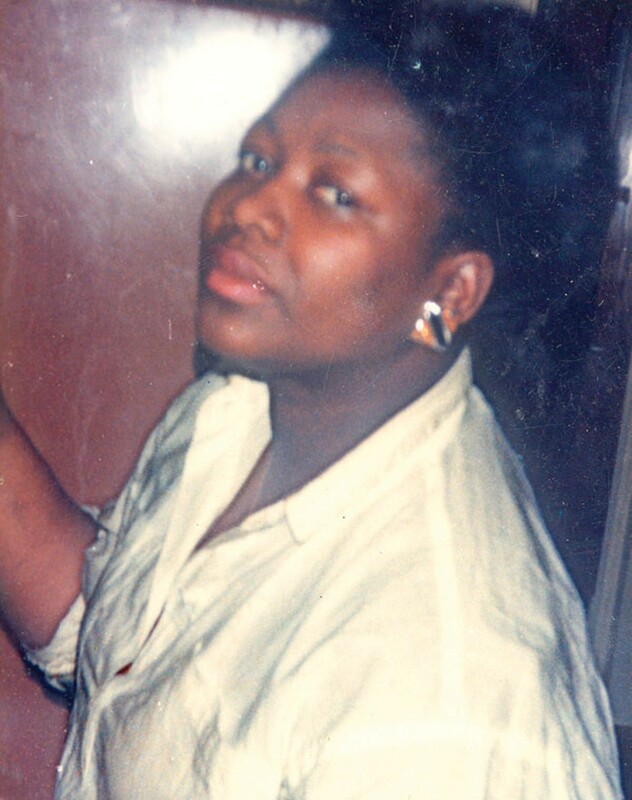 Cooking was her passion; the Oakland native had always cooked for herself and for her family. But her dream was to run her own restaurant, doing what she loved in the kitchen while serving loyal locals cuisine of her making. "It was my dream," she said. "I said, 'One day I am going to have my own family shop.'" She started her journey modestly, at a Togo's sandwich shop in Oakland. But she quickly rose through the ranks to manager at just sixteen, and found herself the boss of employees already much older than herself. 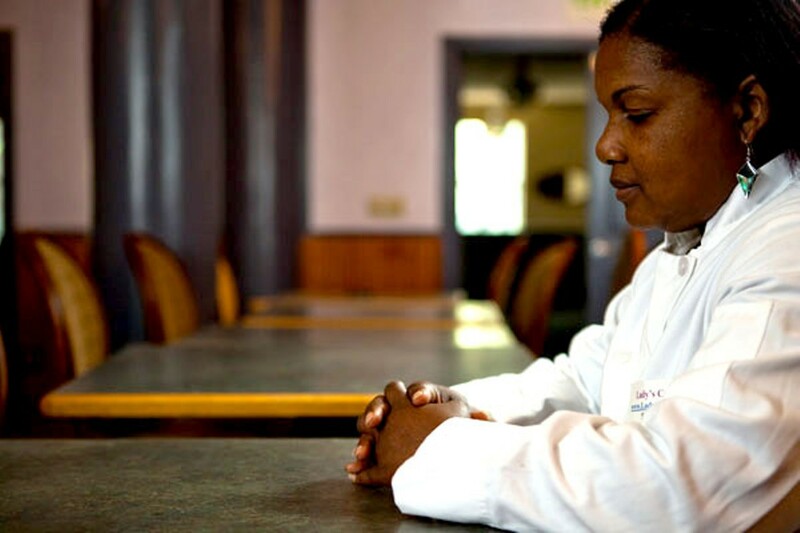 During tireless years of studying, catering, and managing joints all over the East Bay, she continually set aside money for her goal. And sure enough, in February of 2006, 25 years after taking that first managing job — her dream came to fruition inside the lobby of downtown Oakland's Latham Square Building. The path to opening the doors of her restaurant Lady's Place was steep enough, but the frightening battle to keep those doors open was unlike anything she had ever anticipated or experienced. The hard-earned dollars she had saved during years of corporate catering proved insufficient to sustain her business. After just a single year, Decuir's short-lived fairy tale began slipping from her grasp. Decuir is just one of many black restaurant owners who have lost the very dreams that they worked so hard to fulfill. 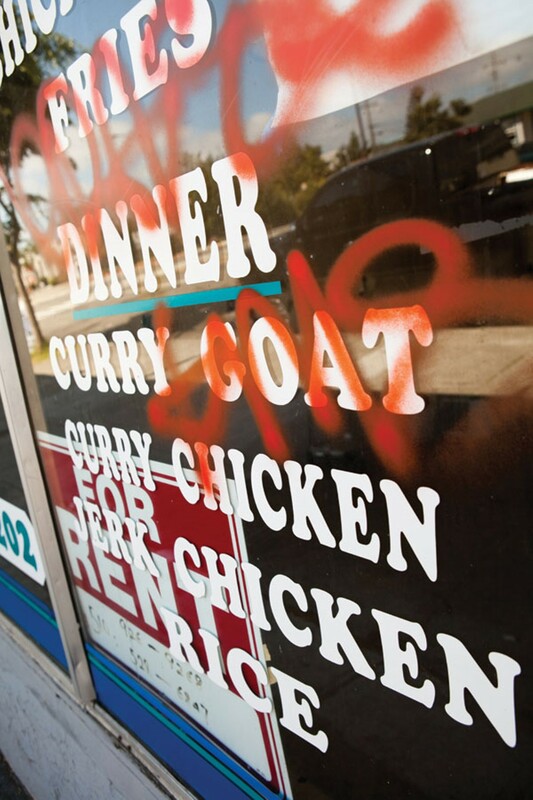 Amid the destructive recession of 2008 and 2009, black-owned restaurants in Oakland and Berkeley have closed at a rate greatly disproportionate to that of other restaurants. 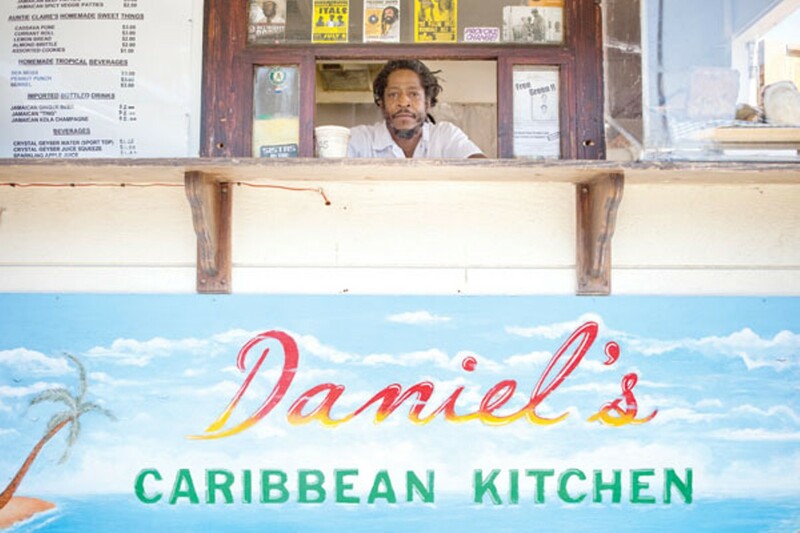 Of the eight Caribbean joints listed in last year's East Bay Express dining guide, half have since shut down. Compare that to one Italian restaurant out of 25 closing its doors, or one out of 28 Japanese/sushi restaurants. Two of four Cajun/Creole restaurants shut down, while only three of the 48 restaurants featuring California Cuisine had to close. The percentage of these black-owned restaurants that have closed is more than five times greater than the overall rate of restaurant closure in the dining guide over the last three years. 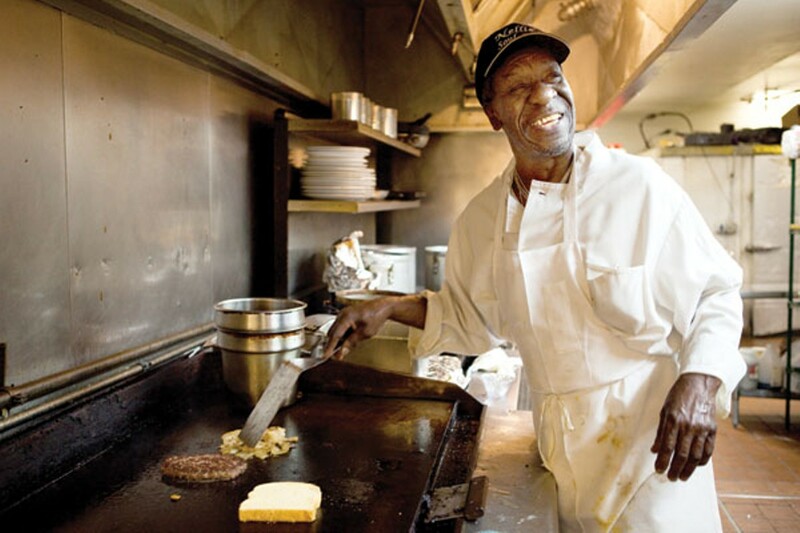 East Bay residents have been forced to say good-bye to the Caribbean restaurants Penny's Caribbean Cuisine, Caribbean Cove, Ital Calabash, and the 7th Street Berkeley location of Daniel's Caribbean Kitchen; the soul food restaurants Declancy's Welcome Table and Souley Vegan; the barbecue restaurant Roderick's BBQ; the African cuisine of Lagosia, Laila's Ethiopian Deli; and the Louisiana kitchens at T.J.'s Gingerbread House and Roslynn Lady Decuir's Lady's Place. Industry observers agree that such establishments — both one-person startups and venerable eateries passed down through generations — are uniquely susceptible to the storms of recession. Sometimes the diverse international flavors of the East Bay's dining scene mask the inherent struggles of its multiethnic proprietors. In particular, many black restaurant owners face very distinct challenges. The slow decline into financial instability is painful for both the owners and customers. In many cases, owners faced a difficult choice concerning a lifetime goal: Walk the path of loans and debt, or face the reality of an unviable business and vacate the kitchen. The financial and emotional drain of a dream swept away is not something that many of these owners will ever forget. The once-open doors of their establishments slowly fade into distant memories of fantasies briefly lived. Ann Penny Baten made pastries growing up in Trinidad. She baked doughnuts, fried tamales, and sold them independently in her neighborhood. It was a way to make money but it also was her passion. "I've always been one of those people who is not afraid of adventure," she recalled. Baten began her life's first big adventure in 1982 at age twenty, when she left home for New Jersey with her two-year-old daughter. Many women in her life had stayed home to take care of family, and all her siblings had remained in Trinidad. But Baten wanted something more. "I had a concept in mind," she said. "Everyone always stayed, but I wanted to be different." In Hoboken, she found a job baking at a Dunkin' Donuts. It was a memorable experience for Baten. "I took the night shift," she said. "It was a lot of fun." She spent years in many different kitchens all across the state. "I worked at bakeries; I waited tables. People are hungry for food and this has always been my form of income." Years later, the self-professed adventurer sought more change in the form of a cross-country move. In 1990 she headed to the West Coast and settled in Berkeley. She had visited twice before and knew she wanted to stay. She also had a larger dream, yearning to reach a wider market by cooking the foods of her native culture. "I saved my money," she said. "I always wanted that five-star restaurant." Baten began serving Trinidadian food at the Berkeley flea market. Her customers said they wanted her to have a restaurant. "I sold my food to the Caribbean people there, and they would tell a friend and another friend," she said. So in 2004, together with her business partner Kurt Picillo — who also is the godfather of her son — she gathered enough money to open her very own joint. She found a small West Berkeley location on a seemingly quiet stretch of Sacramento Street near Oregon Street. Her tiny storefront was wedged in between a little apartment complex and a tarot card reader. She had no trouble coming up with the name: Penny's Caribbean Cuisine. The quaint space with a few masks on the wall and some vases filled with tropical flowers felt more like a living room than a five-star joint. But it was, as she recalled it, "a home away from home" for her, her two children, and her customers. From the utensils to the flowers, everything was designed to evoke the tropical feel of the Caribbean, even as cars sped by and fights broke out outside her walls on Sacramento Street. Chutney-soca music filled the room, and the environment was warm. Baten and her children would serve the customers and chat with them at the same time. "It had the love and the music," she said. "Everybody would stay for hours." But the food and not the decor was what made the restaurant a neighborhood magnet. Jerk chicken, goat roti, and alou pie were some of the native Trinidadian highlights. "And oh my God, we had a lot of cultures in there," she said. While her native Caribbean patrons most appreciated the sounds and smells of the restaurant, Baten said her seats were filled with a diverse base of customers.